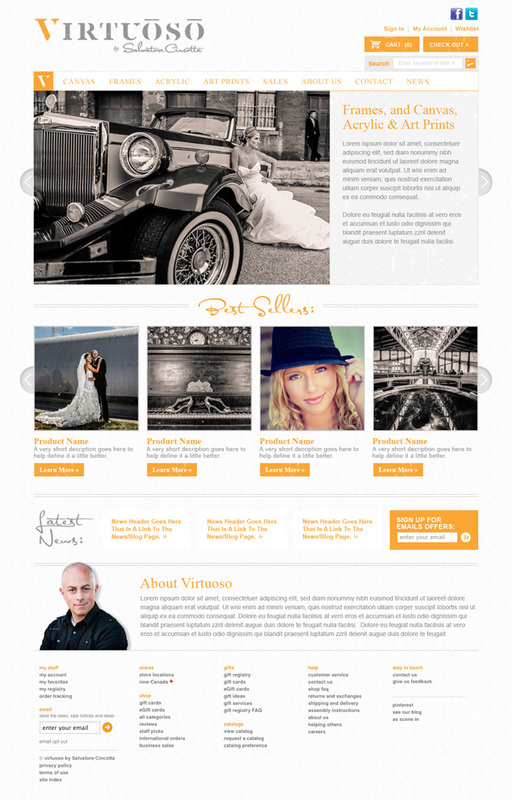 Visual Lure was recently contracted to design a logo and a website for Virtuoso by Salvatore Cincotta. Virtuoso is a high-end e-commerce store that sells artisan quality frames and art, canvas and acrylic prints. The e-commerce part of the website will be built in OpenCart using a custom design with a fully integrated WordPress theme and blog. Check back soon for the official launch.